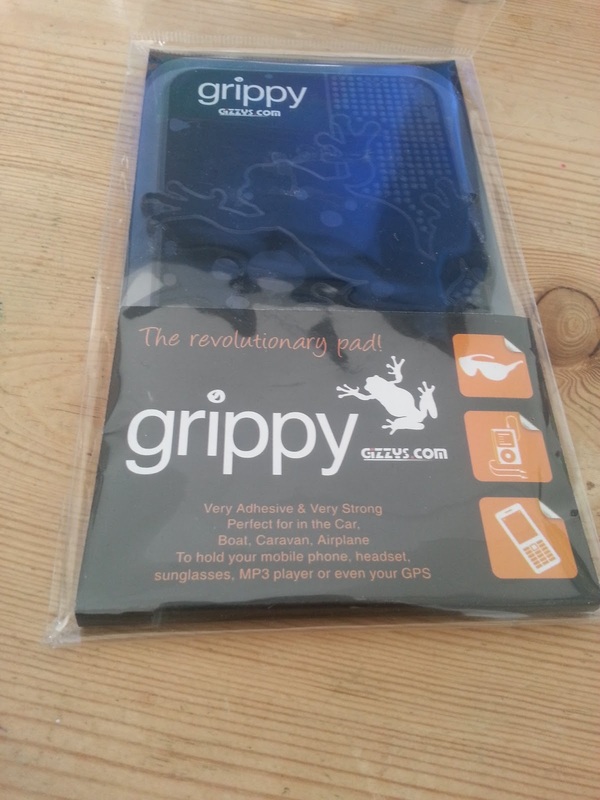 'Grippy: The revolutionary pad': TheTechFront review! Sometimes intrigue is a very powerful thing. Just your natural inquisitiveness is often enough to make you want to try something and this review came about from our intrigue. We're not going to lie, TheTechFront have just celebrated our first birthday, so we thought we'd treat ourselves to a couple of things for reviews and the Grippy fulfilled all of our criteria: interesting, inexpensive, and useful. "A great practical adhesive mat for use in your car, boat, plane, office, etc. The Grippy holds most of your stuff in place for you. Additionally, you can think of coins, parking cards, MP3 players, your phone and much more stuff. Once the pad become less sticky, You only need to wipe it off with a damp cloth, or even run in it under warm water to keep the Grippy Pad is as good as new!" In reality that description is absolutely spot on. 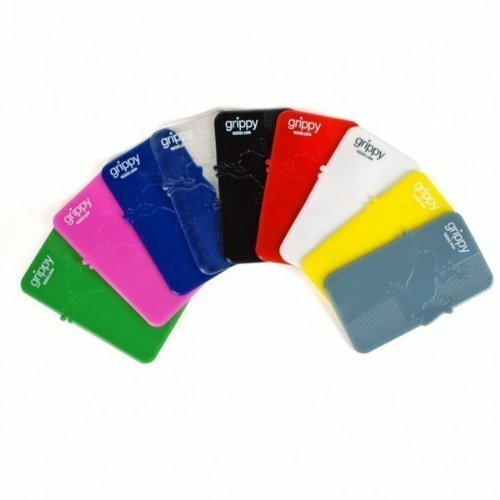 The Grippy is the perfect thing to stick your keys to when you get in from work, or if you're one who tends to lose their phone then the Grippy will hold on to it all day with no problems at all! Aside from uses like that there's not really too much to do with the thing. Obviously it's designed to be used in your car and that's the use which is championed, but as long as cup holders and other physical holes and holders exist we're not sure the Grippy is the best solution. We'd recommend it for use around the house! Having said that though, you should think about the places you stick this thing. We wouldn't recommended attaching it to too many walls because it has a tendency to bring your paint with it when you pull it off. So we've now confined our usage to bare wooden surfaces or something plastic like a notice board, which is actually is a useful place to keep the keys and you won't need to worry about them falling off, it holds ours all the time and it hasn't let go of them yet! So just how sticky is this thing? You already know that it's strong enough to bring some paint with it, but what about the things you'll be sticking to the front? How far can you push it? Well the best way to show you that is through the series of pictures which are embedded below! Sorry the pictures are slightly blurry! With most of these shots we didn't want to hang around for too long just to see how long things would stick! And try as we might the last one just wouldn't work out for us as you can see in the picture furthest right! We couldn't even get our biggest frying pan to hold long enough for a picture, but that did weigh 1.5KG when we put it on the scales! As you can see for holding the tablet while we're cooking, for sticking random objects you're using to and for holding random bits and bobs these are fantastic. The best thing is that they're relatively cheap too! The price has been fluctuating between £7 and £10 lately, but at the time of writing you can pick one up from Firebox for £7 or Amazon for £11 with free delivery!